India is a different country, a different culture. It functions differently. This applies to every aspect of social activity, including how commerce is done. To someone who is visiting India for the first, one of the most striking features of an Indian bazaar, if they are not bedazzled by the immense crowds, is the constant negotiation over price. Rarely a deal is done in India that does not involve bargaining. It is not merely a cultural trait; there are some practical reasons too. India is a developing country. Laws concerning how business is done are often poorly enforced. Absence of an authentic retail price on most items is an example of this. This often leaves the customer helpless. They have virtually no way of knowing the retail price of a product. So they often resort to negotiating the seller’s first price as a protective measure, to ensure they are not cheated. Some customers are really good at it. They aren’t necessarily MBAs who have read several dozen books on the art of trading in India. They are ordinary people who use some basic techniques to get a just price for a product. Here are 7 such techniques that will help you during your shopping in India’s bazaars. The best way to know the retail price of an item is to visit several stores selling it. That will give you a good estimate of what the thing is really worth and help you in your negotiations. Unless you have a lot of money to spare, never pay the price the seller asks for the first time; even when you see something like “Fixed Price Shop.” India is different, and haggling is permitted even at shops flaunting “No Bargaining” sign. Don’t let the seller fall into the comfort zone that they can trick you. The moment they tell you price, ask them indifferently if this is the best they can offer. It is going to have a powerful effect on them. Don’t let the salesperson know you are interested in an item; that will put you in a disadvantageous position. It will be more difficult to budge the seller who already knows you want a particular item. Even if you have liked an item at first glance, ask the seller to show more items. Show interest and ask for more. An advantage of doing this is that after all this work; the seller would badly want a reward in form for a sale. Thus they will be more willing to offer you a good deal. If possible, go for more than items. This will significantly reduce your average cost. If you think the price is still too high, just walk out. More than often, this results in drastic drop in price so you can have the best bargain. 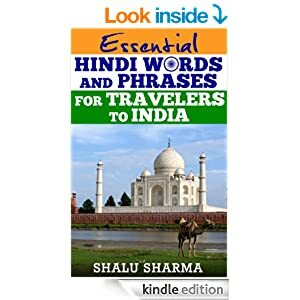 I have included some basic Hindi words here for use when shopping. Here are they are again. You can actually here me speaking these words. Oh yes…there is no end to the way we all have to haggle, and in any or every small thing. I guess that’s the reason even shop keepers have now started hiking their rates because they know we are going to haggle. 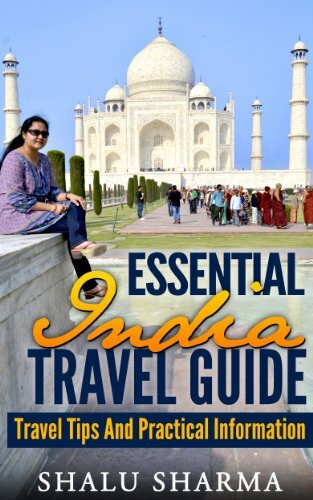 I liked your tips mentioned, which will help anyone visiting here for the first time, or even those who hardly shop or don’t know how to haggle. Nice hearing you too – that was a good idea to convert it to Hindi for their convenience. Its amazing what we have to do. Indian housewives are like heroes, not only do they have to all the kitchen work, they have to engage in intense bargaining. Thanks for your comment as always. I suppose in the USA bargaining is restricted to car-boot sales and open markets. But in India, its an every day thing. It can be good fun specially if you can get the price to a huge low and get yourself a bargain. You’re right, there is definitely no such thing as a fixed-price. Even buying something as simple as a bottle of water often requires some bargaining. I agree, makes you think doesn’t it. Thanks for your comment. I m glad to have found your blog. You are right about these tactics for bargaining. If you visit India but ainig skills, then you will suerly fell prey to muggers. Rahul, I am glad you found it. I am honoured that you took the time to comment. Please do visit again and have a nice day. Always start bargaining with the half of the asking price if you’re shopping in from footpath in Kolkata. You can get real bargain at Gariahat or Dharmatala. Dipra, I have been to Calcutta but not to the Gariahat or Dharmatala. I will make it a point to go there when I am there next. Thanks for the tip. To be honest, I am so hopeless at haggling so I guess I would get ripped off all the time in India. However, after reading your tips (especially the one with walking away and starting to bargain asap) I feel more confident ) Thanks! I suppose its all about get starting early. Once you do it for a few times, its easy. Thanks for your comment. Today I learned the first hindi words. Thanks Shalu. Was nice to visit you.. See you next time. I tried to explain the concept of bargaining to some of my colleagues from US visiting India, but they were like oh but it is only X dollars. I will not even get this is states. I am sending this post to them to understand that it is a cultural thing and why to pay extra when you know you are being over charged. resorting to haggling ins an in-born trait of Indians. very interesting read with tons of info. Being an Indian,still i can’t bargain really the toughest task is to bargain,the best method is first visit the market and ask the price of what you want to buy then start bargaining…. One has to do lots of bargaining in India, one should start bargaining as soon as one enters the shop. Yes, bargaining has been one of the most common practices while shopping in India. I have seen people doing this at shops with fixed price label. I have always been very weak with this aspect. These days the trend of bargaining is reducing because even the shop owners are aware of the ways to deal with customers. I know what you mean Suhas. Bargaining is part of Indian life. Bargaining is in my opinion the most essential part of our shopping spree. The markets are quite large, but still have the scope of the bargaining and negotiation over the price. But, bargaining is not a child’s play, you get the essence of it with time. In childhood I used to go for shopping with my mother, and there I learned the basics of the bargaining, and now I am quite adept in this skill. Thanks for the share. I’m a terrible haggler probably because I easily get intimidated when negotiating with the seller. I worry that he/she might get offended by my price. This often results in me getting the item for a very little ‘discount’ from the seller’s original price. awesome post and I would agree because I have actually dealt with Indian shopkeepers and Shalu is surely right. You have to bargain and negotiate until you get your price. 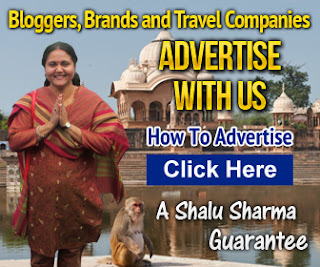 Thanks for the share, Shalu. The whole idea of bargaining for everything is exhausting at first! As an Australian I\’m really not used to it at all. But after a while you get used to it and it can almost be fun. Thanks for these tips. 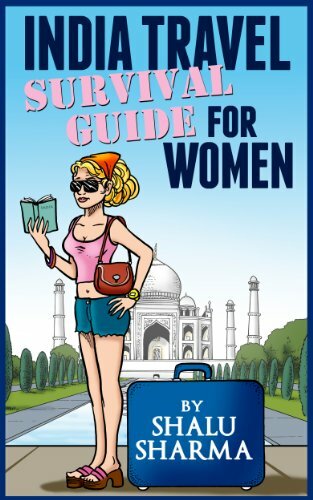 I can\’t wait to visit India and try them out! Shalu, these are great tips to keep in mind when haggling. It is hard to know what is the real price when the vendor inflates the price because he expects haggling. The problem with that is some people will haggle and some people will not. I love haggling because it is fun to me and I feel part of the culture. I never expect to pay full price unless I am in a store store or mall. Wonderful topic! Article written very well and present a helpful information for the tourists. it’s really amazing and impressive. every one will likes this post. should be just fine. While the cost may be right, again, most singles will gravitate for the Las Vegas Strip. exactly exactly what the total price is likely to be before you begin the particular vacation. wonderful submit and I would recognize because I have actually dealt with Indian native shopkeepers and Shalu is definitely right. You have to discount and negotiate till you buy your cost. I appreciate you the discuss, Shalu. I like it your artcle. Your Post is very nice Thanks for Shairing. I was planning on visiting it at some point. Very interesting article. My husband is going soon to Hyderabad. All my friends tell me he should shop for sapphires. Do you know where to get the best bargains for genuine sapphires? wow, this is a great article. I will follow it in my way to get the bargain. Love it!